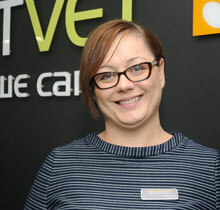 Our team at The Pet Vet Doncaster are always on hand to answer any questions or queries you may have about your pet. We pride ourselves on providing easy and affordable healthcare, to help you give your much loved pet the best care possible. 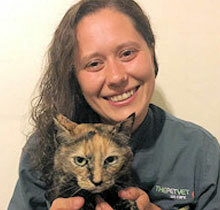 Clare joined The Pet Vet in July 2018 and has worked in several veterinary centers over the past 6 years, both front of house and as an animal care assistant. Claire lives at home with her son, Biley the Cocker Spaniel and Rio and Ruby her two cats. 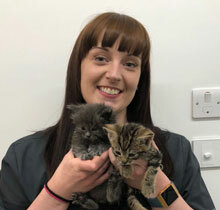 Sam joined The Pet Vet in July 2018 having worked in the veterinary service for the past 5 years. 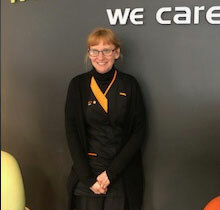 When not at work Sam enjoys spending time with her family, especially her two grandsons. Sam lives at home with two cats named Mishka and Moosker. 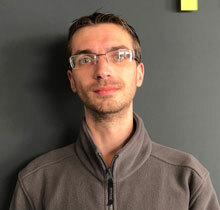 Chris joined us in April 2018 . He has a BTEC in computing and an NVQ in retail management. This is his first time in working in a veterinary practice. He has a cat and his interest include building and repairing computers, animals, networking and cars. 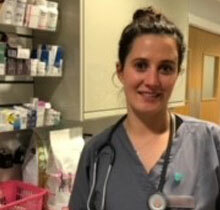 Lucy recently passed her OSCE practical exams. Her interests are hydrotherapy and physiotherapy. She has two dogs and has recently hand reared 4 kittens from 4 weeks old. She enjoys many hobbies including boxing, dog grooming, walking her dogs and swimming. 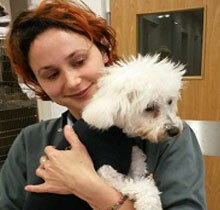 Sarah is a fully qualified RVN and has been working in veterinary practices for 6 years including referral practices. She has two Labradors, enjoys keeping fit and helps make money for charity by taking photos at dog shows. Leanne heads up our Doncaster nursing team. She has been qualified for 3 & a half years as an RVN but has been working in veterinary practices for 17 years. She has two dogs called Louis and George and a cat called Malcolm. Her hobbies include walking her dogs and spending time with her friends and family. Loran graduated this year from London’s Royal Veterinary College. 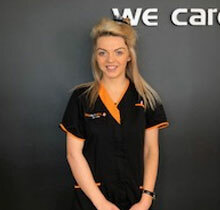 Loran spent her time at The Pet Vet whilst doing her practical placements, so knows the patients and clients extremely well. 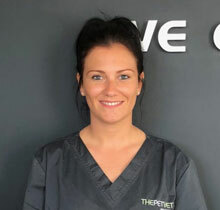 Helen has worked at The Pet Vet since since January 2018 and really enjoys liaising with clients. Helen has a 6 month old black labrador called Alfie and enjoys reading, baking and gardening. 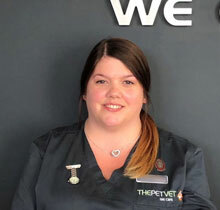 Savannah started working at The Pet Vet in 2018, although she has never worked in the veterinary field before, she has excellent customer care skills and will always make you feel welcome. Savannah lives with her young girl and 2 dogs, Ruby and Darcie. Iuliana graduated from University of Agronomic Sciences and Veterinary Medicine – Bucharest in 2011 and she worked in general practice since then, she joined The Pet Vet in August 2016. She spends her time off walking, riding and enjoying the company of her two dogs Skye and Paco. Rebeca graduated in 2015 from Santiago de Compostela University in Spain. 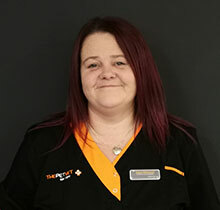 She started working at The Pet Vet as a locum then in Summer 2015 she became a permanent member of staff and now shares her time between the Barnsley and Doncaster branches. Rebeca loves to travel and enjoys nature and spending time with her two cats, pictured here with her cat Cayetana. 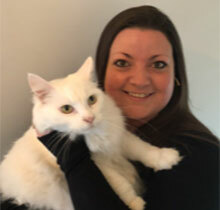 Donna joined The Pet Vet Ltd in April 2018 working alongside the Group Practice Manager and the Head Veterinary Surgeon. She has worked in the Veterinary Industry for 23yrs, working in ECC for 11yrs. Danielle has always wanted to work with animals, and since January 2018 fulfilled this dream. Danielle lives at home with her partner and two cats – Snowflake and Smokey. In her spare time she loves socialising with friends and family. She also enjoys spending time in her garden and greenhouse growing her own vegetables. Our practice group is led and managed by Laura Blackford. Laura joined The Pet Vet in July 2017 bringing a wealth of practice management experience from varying roles. 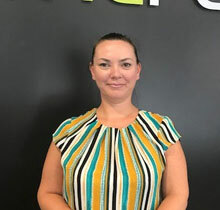 You are likely to see Laura in and around our reception area as she is always keen to receive feedback from our clients! Our expert team is led by our Head Veterinary Surgeon, Niamh. 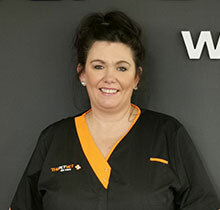 With over 10 years experience in the field she works extremely hard to ensure our veterinary surgeons are providing the best level of care in the profession. Niamh has 2 cats and lives in her Doncaster home with her partner. © 2018 The Pet Vet. All rights reserved.